We occasionally get a few wonderful, random, mild winter days and in our house that means it’s a perfect excuse to rev up the barbecue. 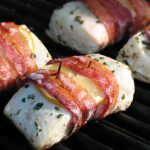 This is super easy and super quick and I found the recipe in Ronnie Shewchuk’s book, ‘Barbecue Secrets Deluxe!’ – enjoy! 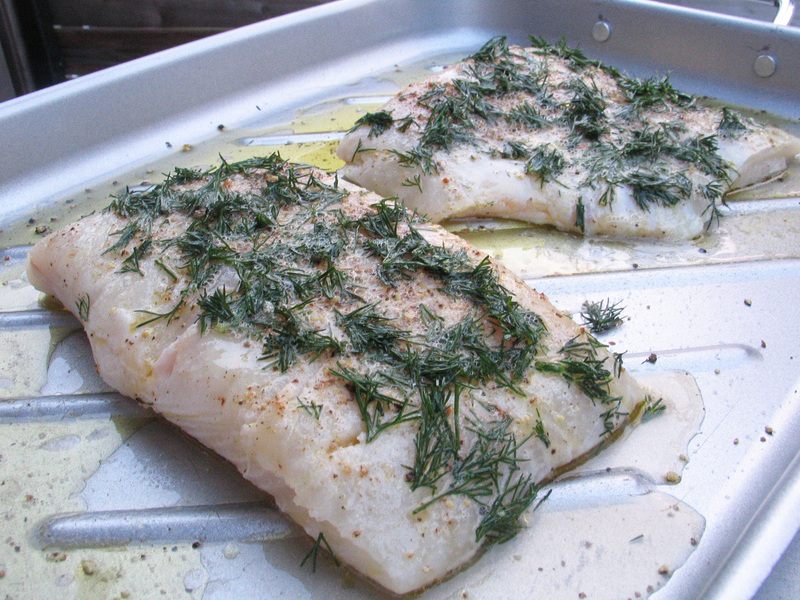 Place the fillets in a non-reactive dish, season both sides with salt and pepper and then coat them evenly with dill. Squeeze lemon juice over the fish and then generously drizzle it with olive oil, turning the fish to coat it as needed. Allow the halibut to sit for about 15 minutes and preheat the grill to medium heat. Place the fish on the grill, skin side down and leave it to cook until it’s just cooked through – this will take about 6 minutes, and it’s perfect when the internal temperature reaches 135-140. When you remove it from the grill, it should be easy to slide a spatula between the fish and it’s skin, leaving the skin on the barbecue. Take all of the fish off and then if you wish, leave the skin on the barbecue to get super crispy (and super tasty!) or just scrape it off and discard it. Season the halibut again as you wish and serve it up – we enjoyed ours with a big green chopped salad (and apple pie! ).